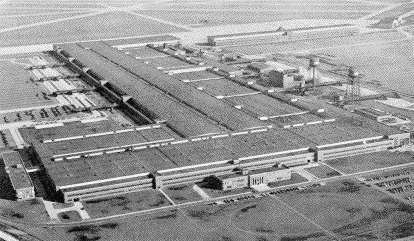 Willow Run, Michigan factory where KF built cars. 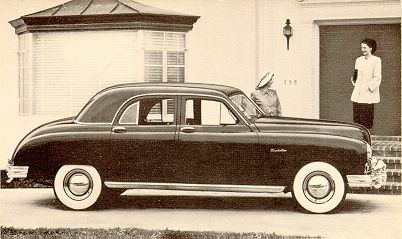 At the time the largest building under one roof in the world. 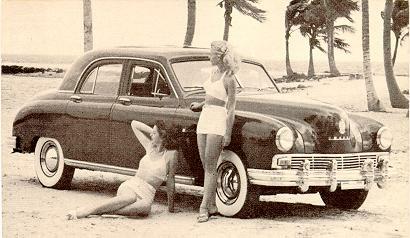 Bathing beauties 1947 style with 47 Frazer. 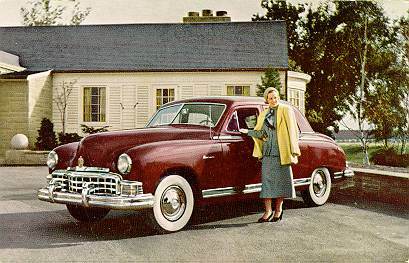 Lady visits with neighbors in their 1947 Kaiser. 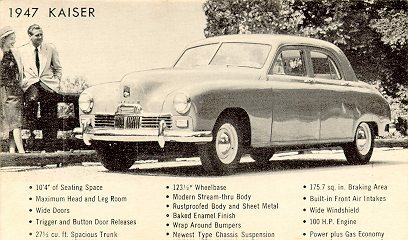 This card lists specifications for the 1947 Kaiser. 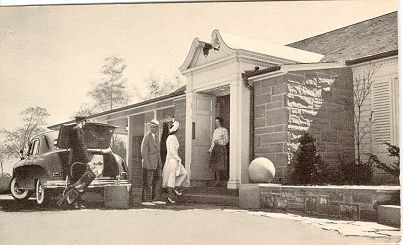 Exterior shot of Willow Cottage. 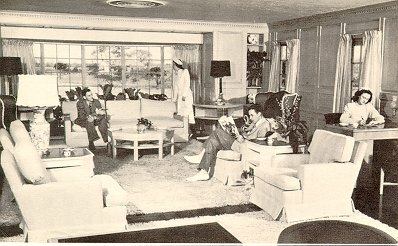 Interior shot of Willow Cottage. 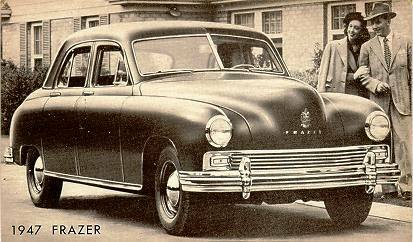 1948 Frazer Manhattan--America's newest fine car. 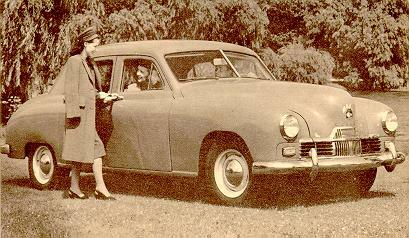 Lady with 1949 Frazer Manhattan in drive at Willow Cottage. 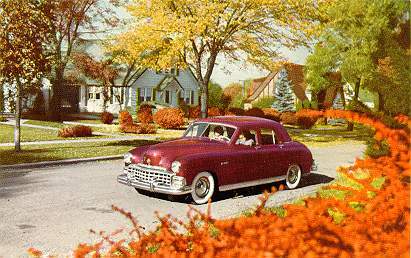 1949 Frazer Manhattan in residential setting. 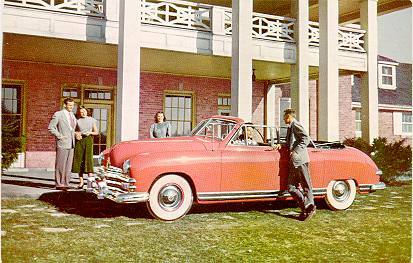 1949 Kaiser convertible--the color is Indian Ceramic. 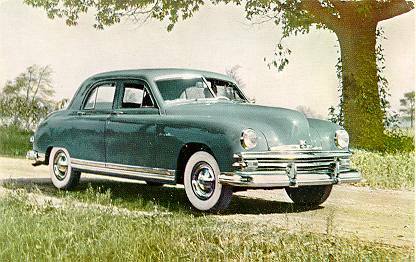 1949 Kaiser DeLuxe--the chrome tag on the fender spells out the color.